TIEFDRUCK PARTY ZUM NEUEN JAHR! Französischer Dubstep Underground / dark and massive vibes / aus dem Hause Sense Inverse! Resident der Bombay Boogie Nights und Gastgeber der neuen Partyreihe ZOO!/Dancefloor MashUp Magican! Heidelbergs Dubstep Pioneer und Gastgeber der Tiefdruck! Dubwars Member mit neuen Dubs am Start! Since those times Hatcha has gone on to hold down his flagship Kiss 100 show alongside long time MC, Crazy D, DJ across the planet, co-produce with a variety of the scene’s heavyweights and mix compilations such as Ten Tons Heavy for Planet Mu. Catch DJ Hatcha under a weighty system near you sometime soon. Tanzt euch mit Afro-Futurist Bass Vibrations und International Electronic Grooves in Verzückung – pure dance floor bliss! 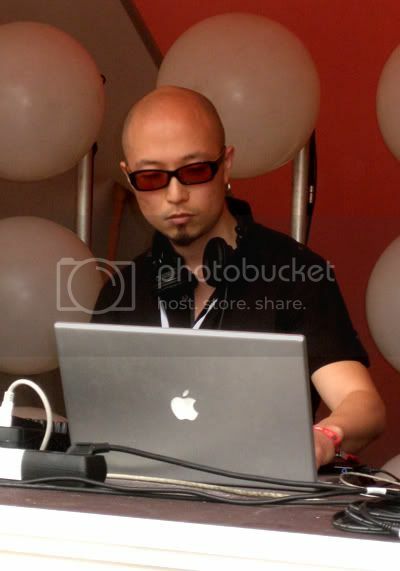 Active as dj and sound curator since 2000, Zhao has organized critically acclaimed long running events in the US from Sound Art to Experimental Techno. After starting the Ngoma collective and series of Global Bass parties in Berlin, Zhao has been alternating between countless hours in the studio and performing regularly at festivals and clubs around Europe. Equal parts ethno-musicologist and shaker of booties, Zhao brings unique perspectives and vision to every event, and has shared the stage with artists such as Pan Sonic, Rhythm and Sound, Shackleton, etc. (and on November 19th, Hyperdub recording artist Cooly G). A unique take on Dubstep: bringing rhythms from South East Asia, Africa, the Middle East, Germany, the Caribbean, etc, and fusing them seamlessly with UK underground sound, Zhao connects ancient tradition and futuristic urban bass. expect a hallucinatory musical journey around the world as soul stirring as it will be surely earth shaking. the deeper-than-we-remember roots from which we all sprung. die Euch wie gewohnt Dubstep vom Feinsten servieren werden. Du browst gerade in den SUBBASS NETLABEL – CREATIVE COMMONS Weblog-Archiven nach dem Monat Dezember 2009.